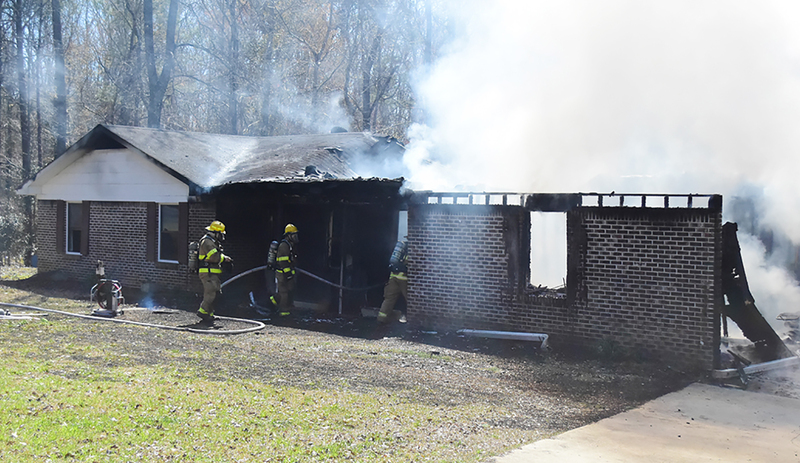 A fire on Tuesday, March 19 at 71 Davis Drive in Fayette caused extensive damage to the single structure residence. Fayette Fire Chief Shannon Taylor said that upon the arrival of the Fayette Fire Department at the residence, the structure was approximately one-half involved in flames, with fire throughout the attic and carport. See complete story in The Times-Record. © 2017-2019 myTRpaper.com • printing, broadcasting or any other use of this content is strictly prohibited without the express written consent of the publisher - all rights reserved.